It’s no secret that most online experiences begin with an online search engine these days. Do you often wonder why some companies show up ahead of you in results? Or wonder what it takes to outrank your competition to land on the coveted page 1 of results? The answer to your questions would be SEO or search engine optimization. 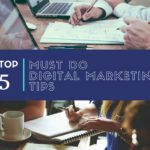 Having an SEO strategy in place can mean the difference of helping your customers and future customers easily find you online, and being hidden pages and pages behind your competitors. 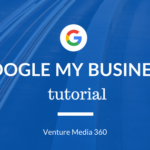 Our services at Venture Media 360 help local business owners get found online. We employ SEO strategies that works for all major search engines such as Google, YouTube, Bing and Yahoo. We pride ourselves on providing a clear mission on where our clients are today to where they want to arrive by dedicating our full attention and resources to help our clients dominate their niche. Our clients also enjoy complete exclusivity within their industry and area so they know we are truly working with their best interest in mind. If you are searching for a Little Rock SEO company to take your business to the next level, we are the experts that can help make that dream come true for you. 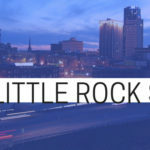 At Venture Media 360, our SEO and Digital Marketing Services can be custom tailored to the unique size and needs of your business in Little Rock. We are here to help you achieve your business goals by helping you be visible online to attract new customers and be easily accessible to your current customers. Big or small, let us help you grow your business and find new customers. Contact us Here anytime to get started!